Affordable Dental Care in your Neighborhood. MetroCare Dental Plan’s vision is to give everyone the healthy and beautiful smile they deserve. 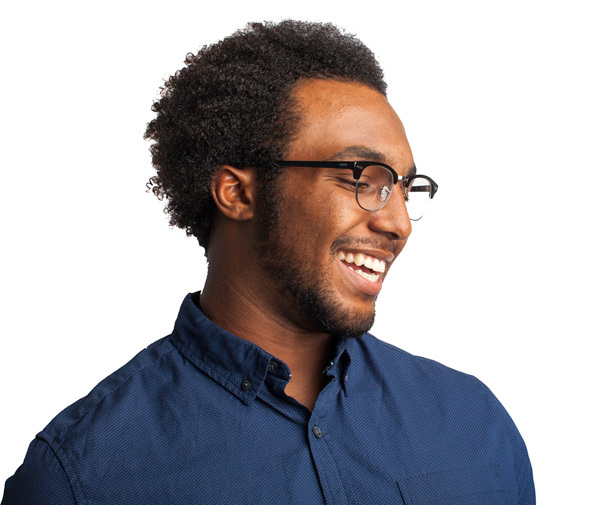 We think dental plans should be like teeth, straightforward. That’s why we created a simple and cost effective dental plan that has no hidden fees, no limits, no extra lab fees, no waiting plans and no exclusions. 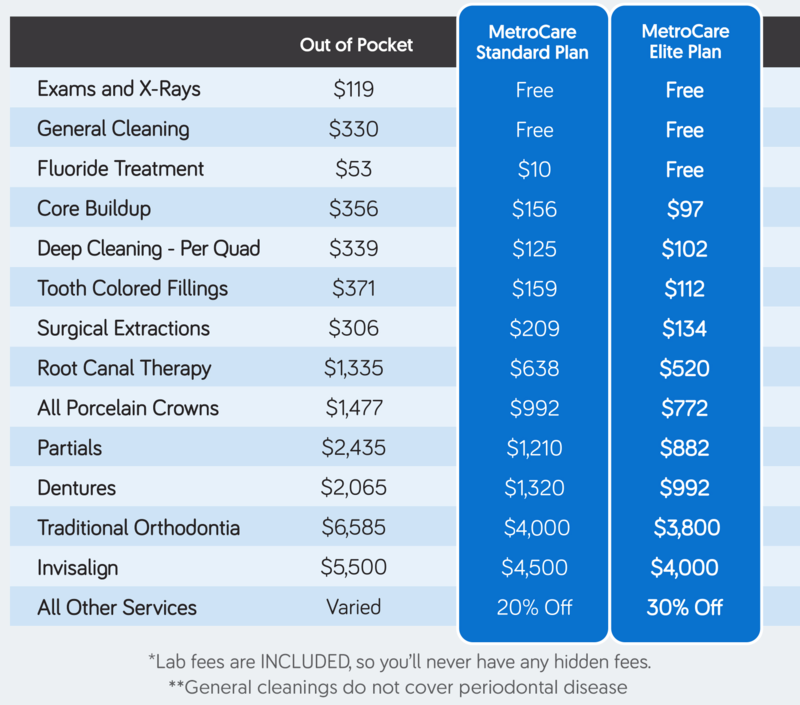 For just $129 a year you can save between 20%-80% on all dental services. Whether you need coverage for you or your whole family we have you covered. Standard & Elite plans are also available. We have partnered with offices all throughout Texas so you can call or click to find an office close to you. For just $129 a year you can save between 20%-80% on all dental services. That includes exams, x-rays, cleanings, fillings, braces, crowns, dentures, veneers and more. Even if you have existing dental insurance, our plan can be used as a perfect supplement to your current plan! Unlike traditional plans, we cover almost every treatment including cosmetic dentistry and we can keep going where your current plan falls short. Discount dental plans are an affordable and easy-to-use alternative to dental insurance. Plan members have access to a large network of participating dentists that have agreed to offer their services at a discounted fees. Why should I join a discount dental plan? Discount dental plans can save you money on quality dental care while giving you the freedom to choose. Is there a credit check or health questionnaire that must be completed in order for coverage to be accepted? No. There are no lengthy credit checks or health questionnaires required for coverage. Is there a limit to the amount of family members on a plan? You are able to include up to four family members (including yourself) on our family plans. However, if you want to add any additional family members over 4 it is only $49 per person. They will have the same access to all discounts included in your plan. If I purchase the plan today, when does it become effective? The plan becomes effective as soon as it is purchased. You will be able to print a temporary card and take it with you when you visit your Metro Care Dental Plan provider. If I purchase the plan for myself now, can I add my family during the plan year? Yes, the family plan can be purchased mid-plan year. Your Metrocare Plan provider will credit the amount of the individual plan towards the purchase of the family plan. How do I add my dependents or family members? Call the MetroCare hotline at (888) 707-9007 and a support agent will assist in adding dependents to your account. Copyright © 2017 MetroCare Dental. All rights reserved.